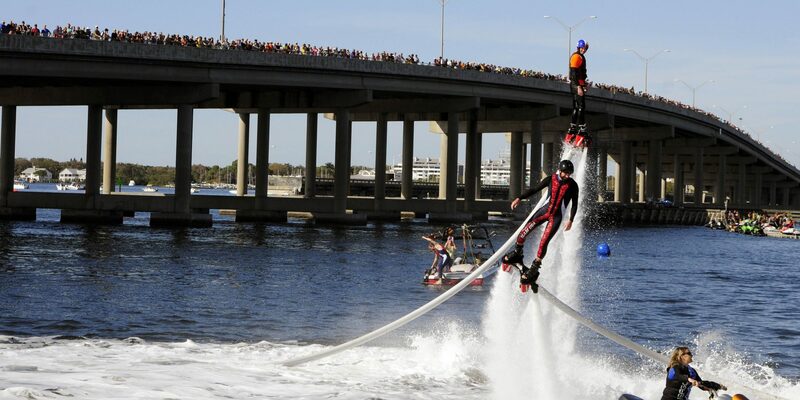 Speed, Stars, Showmanship…in a one-day spectacle that sports electrifying acts in the air, on water and on stage. See Engines Roar, Stars Soar, Fireworks Galore…ALL FREE! With music that will make your feet move and body groove all day long…on two main stage venues…STARRING IN BRADENTON—national recording artists and Bradenton natives: WE THE KINGS…and headliners on PALMETTO’S MAIN STAGE, from Arcadia, FL, country music group: the Andy Pursell Band.